Calendula officinalis is a short-lived aromatic herbaceous perennial, up to 30 in (76 cm) tall with bright green leaves about 4 inches (10 cm) long. The upper leaves are lance shaped with pointed tips and the lower leaves are oval with a rounded tip. 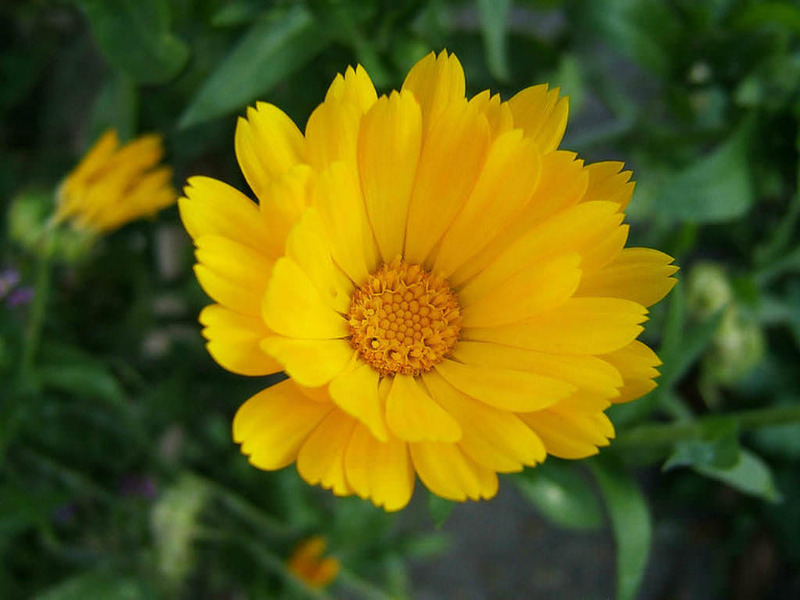 The flowers held on thick sturdy stems and are up to 3 inches (7.5 cm) in diameter. 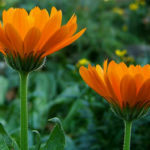 The inflorescences are orange or yellow, comprising a thick capitulum or flowerhead up to 3 inches (7.5 cm) in diameter, surrounded by two rows of hairy bracts. In the wild plant they have a single ring of ray florets surrounding the central disc florets. 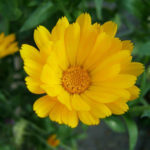 It is in flower from June to November. 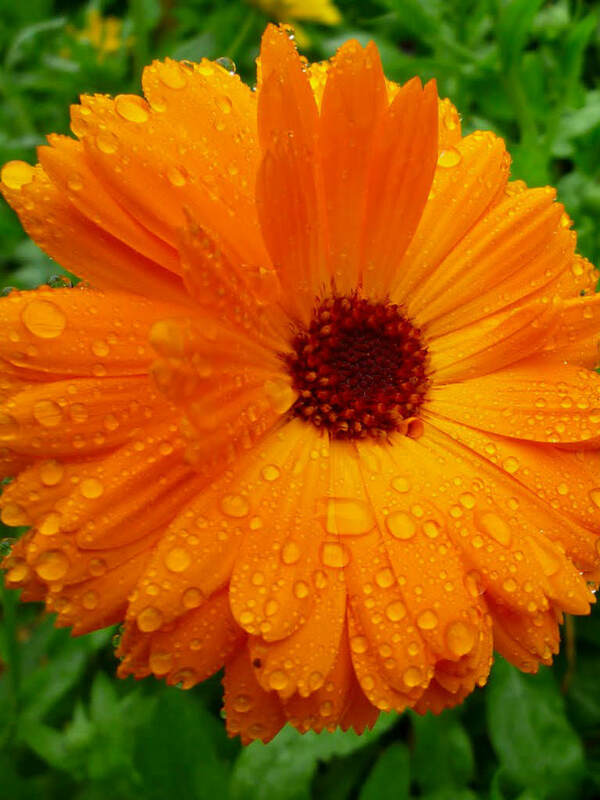 The flowers may appear all year long where conditions are suitable. 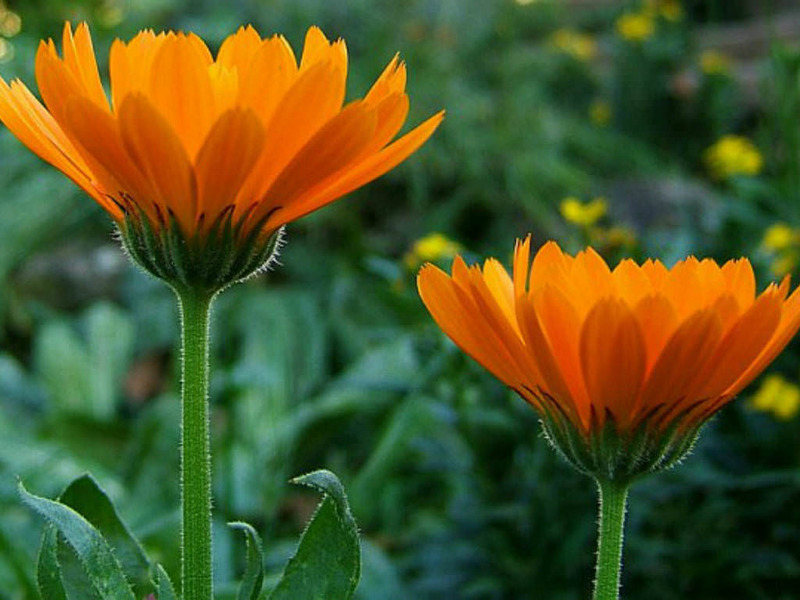 If deadheaded regularly, this plant can bloom from spring through fall and beyond. 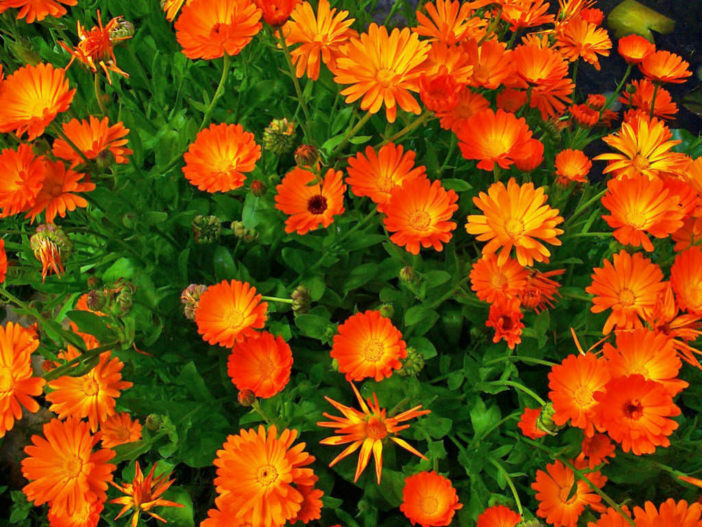 In warmer areas, the Calendula may take a break from blooming during summer heat and then put on a show as temperatures fall in autumn. 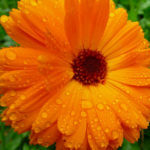 Regular pinching keeps the 1- to 3-foot (30 to 90 cm) plant bushy and prevents tall, spindly stalks… – See more at: How to Grow and Care for Calendula. Probably native to southern Europe.